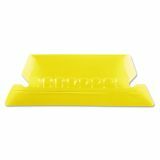 Pendaflex Hanging File Folder Tabs, 1/5 Tab, 2", Yellow Tab/White Insert, 25/Pack - Hanging Folder Tabs allow you to customize your hanging folders equipped with 1/5-cut slots. 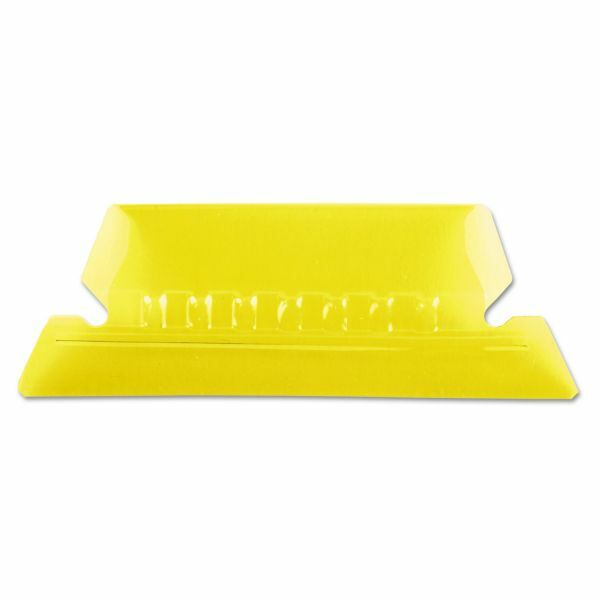 Clear plastic tabs (2 wide) come with blank white inserts. Stagger the position of your tabs from folder to folder to keep each file heading in view. Tabs are large and angled for easy viewing. Tabs are designed for letter-size and legal-size hanging folders."